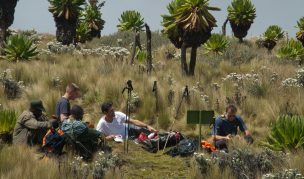 Combine your safari with 3 Day Rwenzori Mountains, Mahoma Trail Hike. 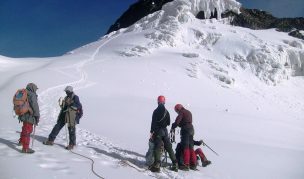 This 28km trail takes you as you explore a cross section of Rwenzori Mountains natural heritage. 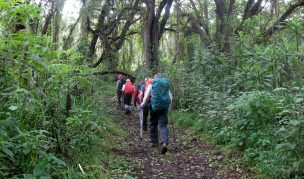 The trail is an alternative to longer treks that lead to the peaks of Ibanda and Kilembe. This trail you traverse the lower slopes of the mountains finishing at Lake Mahoma where the trail joins the existing ‘Central Circuit’ trail to return to the park gate. 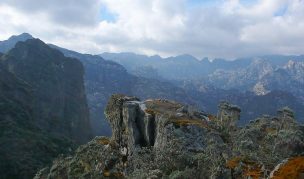 The entire circuit could be completed in 1-2 nights, or parts of it can be done as a day hike. 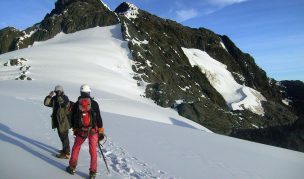 Read all about The Rwenzori Mountains, here. 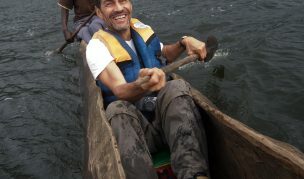 Uganda’s Most famous Off-the-Beaten Path activities. 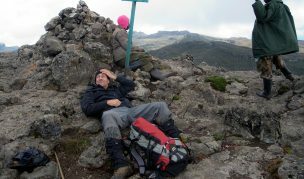 Day 1: Nyakalengija Gate – Omuka Kizza Rest Camp at 2,977 meters. Would you like to go on this trip? Fill in the form below or email info@nkuringowalkingsafaris.com. As you ascend you will pass through a verdant rainforest along the Kyambogho Ride where you can see the Mubuku Valley below you. You might see Colobus Monkeys, Blue Monkeys. at times you might even spot a Chimpanzee. Forest Elephant tracks may also be seen and again during rare occasions be seen. 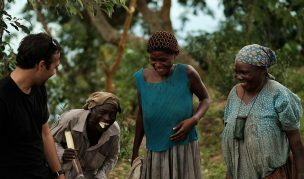 Today’s destination is Kizza Camp where you will spend the night, from the camp area you have an up-close view of the Rwenzori Mountains, the foothills below and the town of Kasese in the distance looking like a scene from Lego-land. 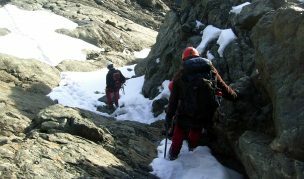 Dinner – will take a bit of time to prepare here, it is good to have some snacks like granola bars and dried fruit with you to eat during your hike. Bottled water will be always available during your time on the Mahoma Trail. 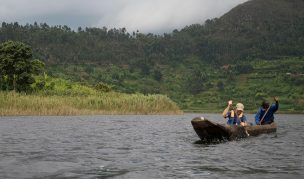 After a hearty Breakfast on this second day on the Trail, our goal today is Mahoma Lake as we move along in the Bamboo and heather forest where we often follow in the footprints of Forest Elephant and we might even be able watch them get a drink at the hot springs. 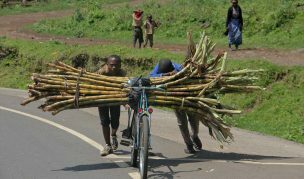 We move along a ridge that takes us to the Rukenga Valley where you will see what is called Everlasting Flowers and Giant Lobelias that can grow up 8 meters plus in height. Once again there is no restaurant and it making your dinner in the Mountains. After breakfast take a walk around the lake and then the descent back through the Nyabitaba ranger post and the Mpanga ridge to adjoin the Mubuku valley, where once again you will the unique three-horned chameleons. 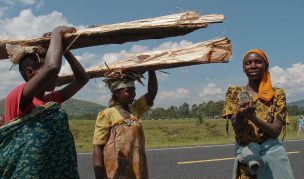 We return back to the Village of Ruboni for the night and check into Equator Snow Lodge or Mihunga Lodge.